How To Save Money On Your Bills NOW! You are here: Home / Finance / How To Save Money On Your Bills NOW! We have enough to deal with each day between work, the house, kids, spouses, and everything in between. So, you’d hope that you didn’t have to make sure everyone else is doing their job correctly, too. But, we do :/. 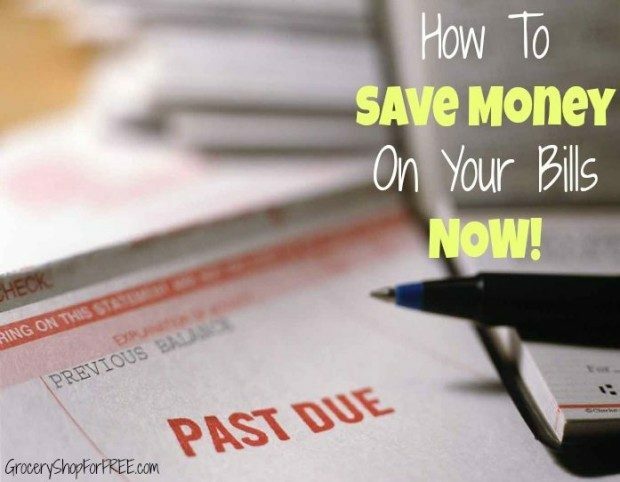 A few times over the years I have learned some valuable and expensive lessons, so I thought I would share with you How To Save Money On Your Bills NOW! A few years back we were paying the bills without really diving into them, especially the phone bill which includes the TV and internet. One day I was so upset at how high the phone/TV/internet bill had become that I called customer service to discuss my bill. We were going to have to cut costs somewhere, this couldn’t continue. After speaking with a specialist and going over the entire bill and the history of the account we realized I was being charged a large amount each month for something I never requested! Once that was removed they actually owed ME money! So, for 3 months we didn’t have a phone bill at all. I now call my utility companies about every 3 months to be sure there are no special deals or changes I can make to reduce the bill. They have specialists who are trained to help you do that to keep you from switching to another company. There are plenty of other companies out there, use that if you need to to make sure they give you the BEST deal possible. THEN, you’ll need to make sure that you know exactly when that deal expires (if it does). Recently our electric bill was enormous and we attributed it to the Texas heat. Hubby called in to see if there was any relief for the bill. In speaking to the customer service agent he found out that we have been paying way more for electricity than necessary because our contract was up and of course they didn’t tell us – they just started charging more. Since it was at the beginning of the summer we didn’t think too much of it. He fixed that and quick! So, be sure to stay on top of your contracts and deadlines, and offers. Know the offers from other companies and leverage those to get a better deal. They don’t want to lose you as a customer. So, negotiate a better deal, it’s YOUR money! Always make sure you know exactly how much your bill should be each month. Be sure you know when your contracts or special offers expire. Be sure you understand the terms of the contract or offer and if the rate will increase, by how much, and when it expires. Read your bills – every time they come in. This will save you tons. It gives you time to catch the mistakes before they take hold. Call often to re-negotiate your contracts or bill. I call the phone company every 3 months. They are forever changing offers and adding new ones, so keep up, sometimes they don’t tell you. Talk to someone in customer service who can offer suggestions on how to lower your bill, ask for someone else if you feel you aren’t getting clear and direct answers. Be sure to know what the late fee is and when it is applied to your account. If you run late, know the cut off date and the consequences. Often the turn on fee is much higher than it needs to be so, have all of the info. Knowledge is power and will help you make better decisions. Do you have any ways you save on your bills? Please share them with us! I would love to learn more about couponing.